Information below about our Virtual Internships/Traineeships, and how you could become an industry player for German language writers…! Bilingual in English-German? Love movies and writing? Get in touch! For staffing reasons, we’ve had to close our longstanding competitions access for German-language writers – but if you’re bilingual and would like to relaunch and run those services for us, get in touch! 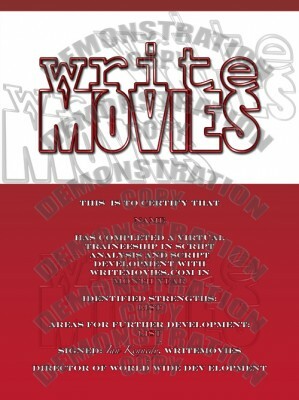 Email ian@writemovies.com to express your interest. Be fully bilingual in English and German, with a high standard of written communication. Produce regular newsletters in German adapting the best of WriteMovies’ content and offerings into that language. Handle enquiries and submissions in German, recommending promising scripts that we could develop and pitch to the international film industry. Payment of 50% of submissions value in German. Access to around 1000 writers and industry professional contacts in German (to be handled and used appropriately within EU information security guidelines). If this is of interest, contact our Director of World Wide Development Ian Kennedy, ianAT writemoviesDOTcom. Script Coverage: You will be taught how to analyse screenplays and novels according to the guidelines determined by the studios, by a studio trained pro. Whatever you end up doing in the industry, be it producing, directing, writing, acting… nothing is more important than having a good understanding of what makes a script work. Development: You will learn to critique screenplays and novels, and provide development notes both for executives and writers. An in depth knowledge of this craft will make you a valuable asset to any studios development department and greatly improve your chances of securing one of these coveted positions. Find out by working with our management company what the studios and production companies are looking for and to find and develop projects for them. Extracts of the best work you produce may be published on this site, may contribute to our assessment of entries to our competitions, or may even contribute to the reports we send to writers, though these will always be primarily written by an experienced WriteMovies analyst. Criteria: We are looking for literate individuals who are passionate about the industry and not scared of hard work and long hours. If this applies to you, email to info ATwritemovies DOTcom.